The XT6 will come in two trim levels. DETROIT — The Escalade's "little brother" has arrived, giving Cadillac the three-row crossover that its three fellow General Motors brands have long had and another weapon to take on an onslaught of utility vehicles from luxury competitors. 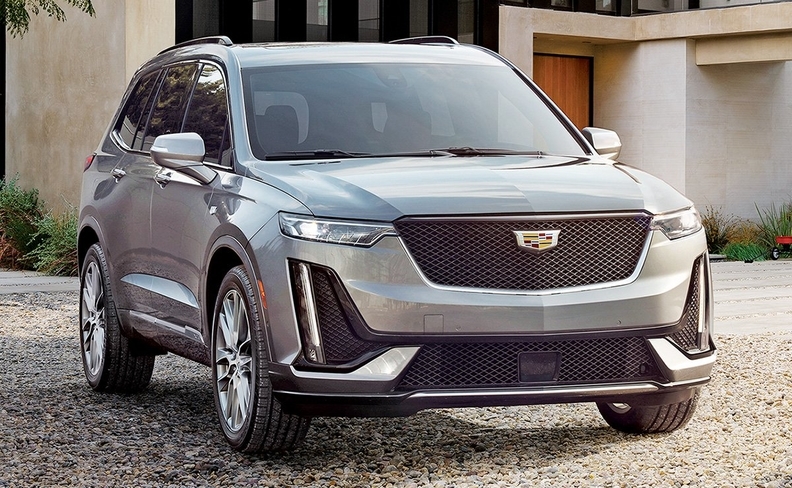 The 2020 XT6, which Cadillac was set to unveil here Sunday night, fills a yawning gap between the midsize XT5 and the truck-based Escalade SUV. It was developed to have "the stance and presence" of an Escalade but "scaled for everyday life," according to Cadillac design chief Andrew Smith. "What we wanted to do was put together a vehicle that has a fantastic interior package but in a size that is fitted to most people's lifestyles, and that really is the heart of the market," Smith said during a media briefing. The XT6's exterior design lines are a bit smoother, less angular, than the compact XT4 crossover, which launched last year. It features several design elements, including grille and lighting, inspired by the brand's acclaimed Escala concept from 2016. Unlike the XT4 and other models, the XT6 won't be offered in the base Luxury trim, only in the Premium Luxury and Sport trims. It's expected to arrive in showrooms this summer. Both XT6 models will be powered by a 3.6-litre V-6 engine estimated at 310 hp and 271 pound-feet of torque. The engine, which also comes standard on the XT5, is connected to a nine-speed automatic transmission. Differences between the trims include design elements as well as the steering and overall driving dynamics, including a standard all-wheel-drive system with a twin-clutch rear-drive module for the Sport. "We wanted to make sure that it really had a sinister and aggressive feel to it," Smith said of the Sport. The front-wheel-drive Premium Luxury model is available with a disconnecting single-clutch awd system. Both models are available in six- and seven-seat configurations. The Sport will have two interior trim packages, while the Premium Luxury model will offer three. Both models offer standard passive and active safety technologies such as automatic emergency braking, lane-change alert with blind-spot monitoring and rear cross-traffic alert. GM didn't announce pricing for the XT6. It slots between the two-row XT5, which starts at roughly $44,100, and the full-size Escalade, which starts at $86,500 in Canada. The target customer for the vehicle, according to Cadillac officials, is similar to the Escalade — college-educated with a household income in the range of a "couple hundred thousand dollars." The XT6 will enter the growing midrange luxury utility segment. Competitors in the large premium crossover segment include the Volvo XC90, Audi Q7 and coming Lincoln Aviator. 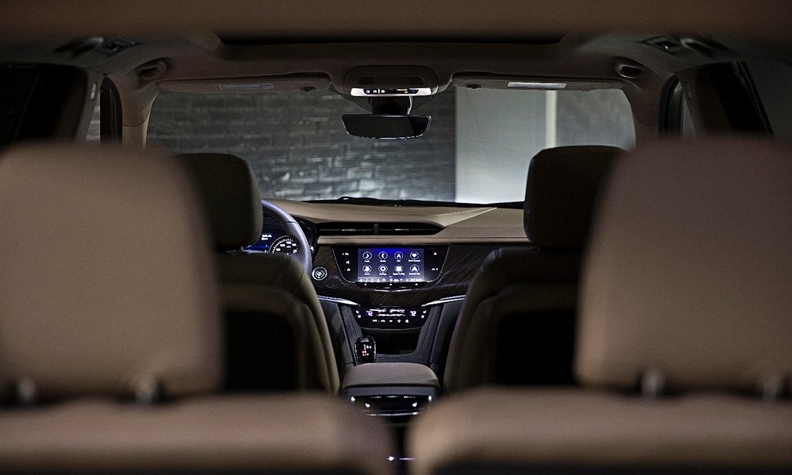 Midsize premium crossovers with three rows of seating include the Lexus RX L and Acura MDX. The XT6, to be built in Spring Hill, Tenn., shares a platform with the Chevrolet Traverse, Buick Enclave, GMC Acadia and the smaller XT5. 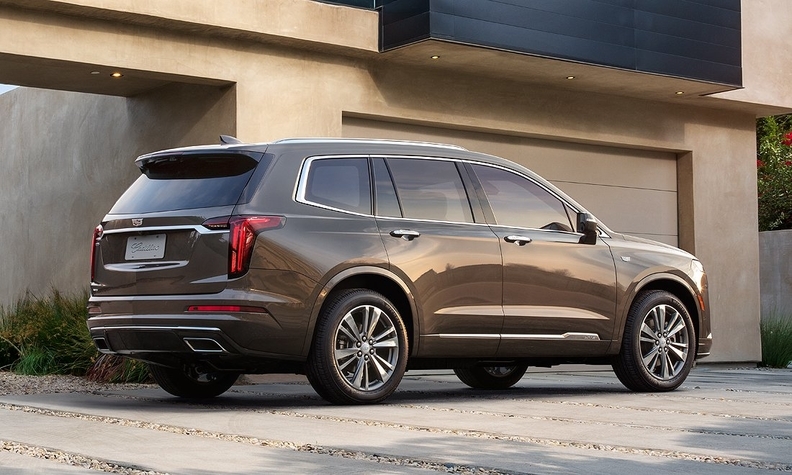 For the XT6, Cadillac raised the roof of the vehicle for more comfortable seating in all three rows and widened its stance, Smith said. Cadillac's U.S. sales last year fell 1.1 percent to roughly 154,700 vehicles. In Canada, Cadillac sales were down 11.1 per cent to 2,647 through November 2018, but the automaker didn't divulge December sales by brand.